Nicki Minaj and Meek Mill are doing the most on stage their PinkPrint tour and every tour stop it gets better. 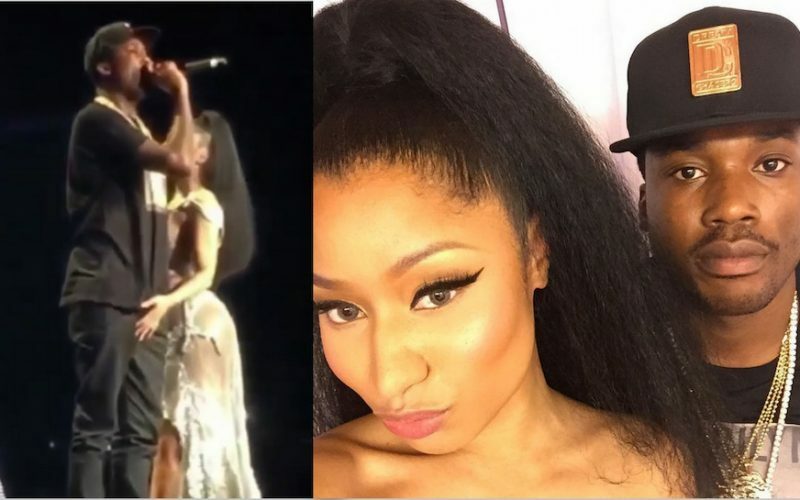 The couple were performing in front of 22,000 plus fans in Chicago on Sunday when Nicki started grabbing onto Meek’s junk on stage. You can hear the females in the audience started to scream. “22 THOUSAND PPL CAME OUT TO SEE US TONIGHT. such a blessing!!!!!! CHICAGO!!!!!!!!!! Thank u for making my dreams come true. I love u,” she wrote on IG. Last weekend Nicki Minaj told her fans in Pittsburgh, Pennsylvania that Meek Mill is her baby daddy. She fueled a lot of pregnancy rumors with that statement. Perhaps this is the ultimate PR move by Nicki and Meek to save the Philly rapper from the onslaught he has been getting in hip hop circles as a result of his beef with Drake and that horrible diss track he released. Nicki released a video on her Instagram page asking her fans not to tell anyone what she did to her boyfriend on stage. “Chicago I love you and I will never forget you. You guys made me so happy and I can’t thank you enough for that. Don’t tell anybody what I did to make on stage okay,” she said. Got to say that Meek Mill look so uncomfortable on stage while Minaj was doing whatever she was doing. Maybe he was just caught off guard. But is this enough to take a serious shot at Drake and her ex-boyfriend Safaree Samuels? Maybe Meek should just head back to the studio and come back with something much better. 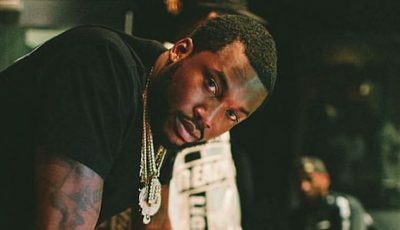 Are Nicki and Meek taking direct shots at Drake and Safaree with what they are doing or is it just her way of saving Meek’s career?